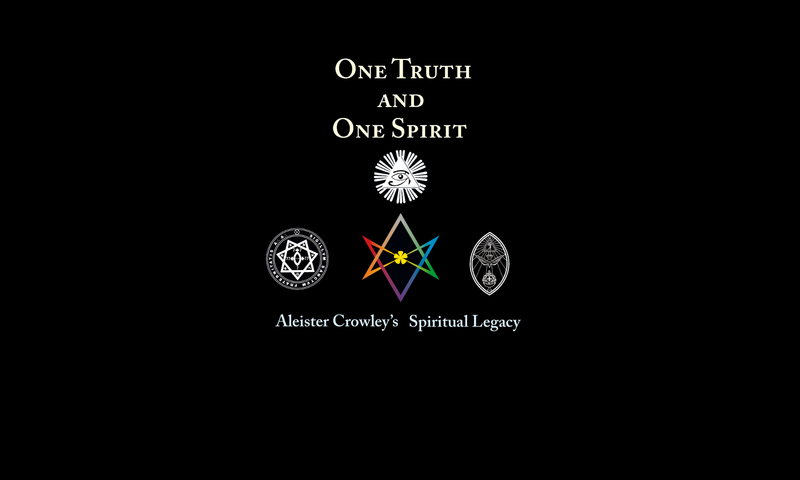 In 1942, when World War II was raging across Europe and millions of people were subject to one of the twentieth century’s most awful atrocities, Aleister Crowley proposed his own “War Aims” of Thelema. 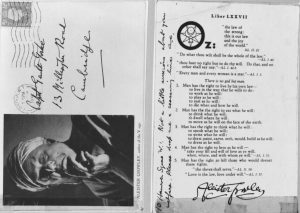 He sent out on postcards a short and succinct declaration of freedom called “Liber Oz.” This document outlines the rights for all who embrace the Law of Thelema as the Law of Liberty and freedom. Liber Oz is as important of a political statement today as it was in 1942. It is not a far cry to say that at all times, freedom is always threatened and that it must always be fought for if it is to be realized in any capacity. This postcard was sent from Crowley to his student and later literary safeguard, Gerald Yorke.